Stone, Maud Morrison, and J.S. Morrison. 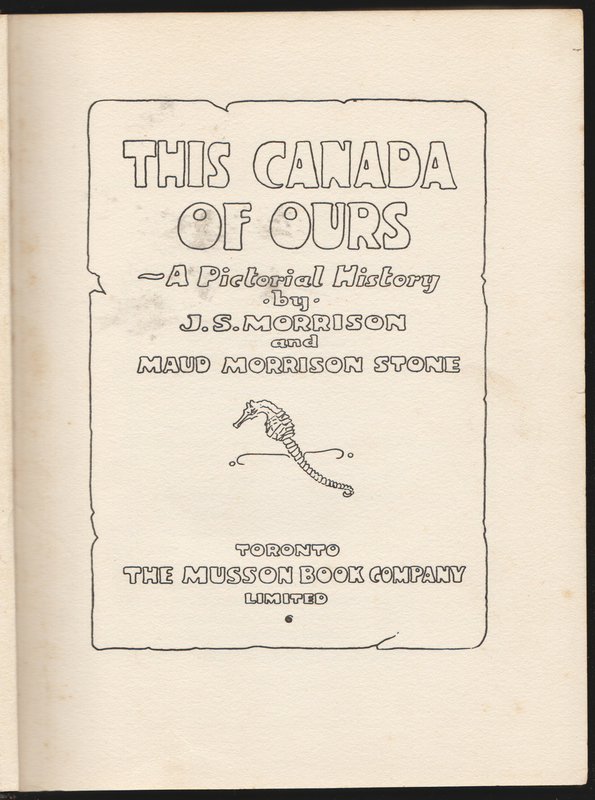 This Canada of Ours: A Pictorial History (Toronto Musson, 1929). 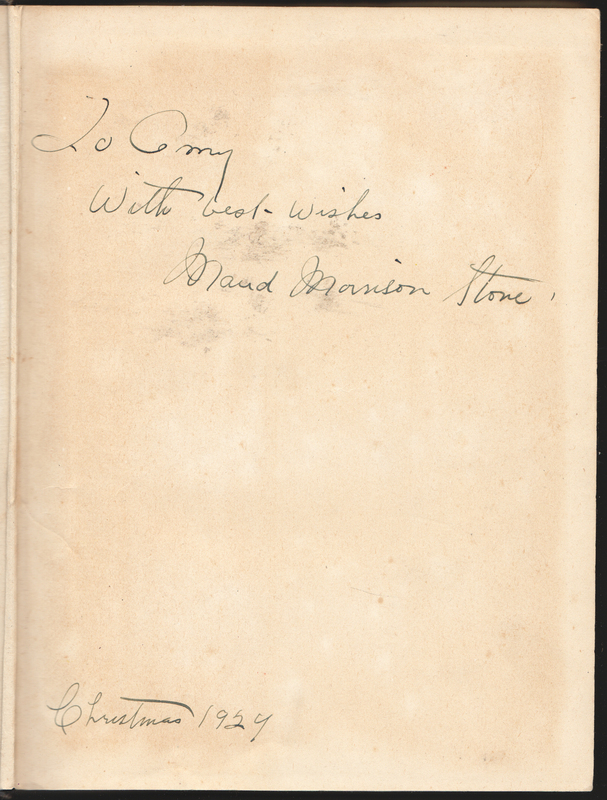 A couple of weeks ago, I was contacted by Maud Morrison Stone’s great-niece, Christine Owen, a recently retired lawyer who had been sorting through her parents’ papers. She kept running across papers referring to and written by this author relative, and so began to search the internet for more information. And found us. 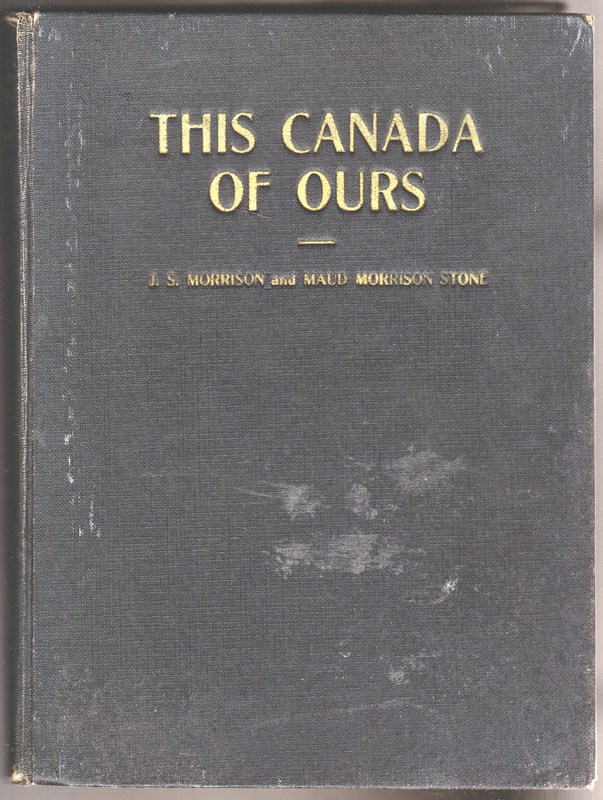 All we had about Maud Morrison Stone at the time was a reference to one book: This Canada of Ours (1937). Now we know so much more. It was interesting how strongly the content of This Canada of Ours corresponds to what I was taught in the early 1970s about our country, in contrast to the far more culturally balanced history taught today. The story of the naming of Canada, for example, is exactly as I remember it; I have included it here because it brings back to me another story from my youth. In 1982, I was in Jyväskylä, Finland, as a Rotary Exchange student. The instructor of the Grade 11 English class I attended told a version of the story popular in Europe at the time. When the Spanish came up the west coast of Canada (he told the class), they saw the vast stretches of forest and mountain and pronounced: “aquí nada,” which became Ca-nada. And hence the country was defined in its vast nothingness (yes, he did add that last part). He was some not impressed when I, in my youthful egoism, pointed out the error of his position. After all, Samuel de Champlain (1574-1635) founded the city of Quebec in 1608, while Captain James Cook (1728-1779) reached the west coast of Canada in 1778; both were much later than the name of Canada was in use. Wikipedia will tell you that in fact Jacques Cartier (1491-1557) was the first to use the name, which (as This is Our Canada also tells us) almost certainly comes from “kanata,” the Iroquois word for “village.” The Spanish-language story (which is a not-unknown alternate etymological explanation, Wikipedia again tells us) refers to Christopher Columbus sailing the ocean blue (1492) and discovering the Grand Banks of Newfoundland. But the Portuguese and Spanish stuck to depleting the cod population and didn’t go up the St. Lawrence at all, so I stand with Maud Morrison Stone on this one. The book is dedicated “To the memory of Adam Morrison and Mary McLeod Morrison, U.E.L., our father and mother, who taught us to love Canada.” A more patriotic beginning would be hard to find. The authors are obviously sincere in their appreciation of Canada and Canadian history: they begin with “The story of Canada is one of absorbing interest,” and we grow to believe them. The writing is far more engaging than the history books I read, certainly, but the sheer level of detail must have been daunting to any school-aged reader. 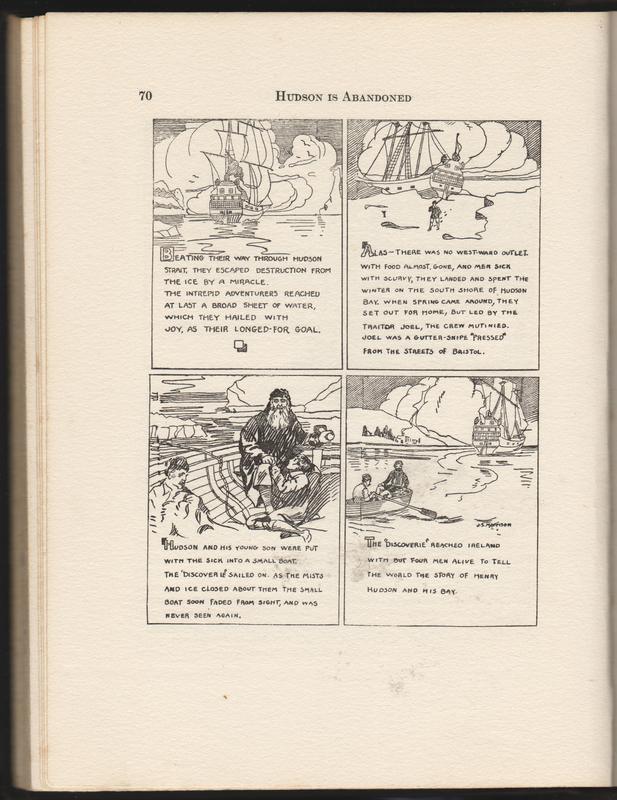 The historical information is about 60% running text, scattered through with illustrations separate from the graphic narrative panels. 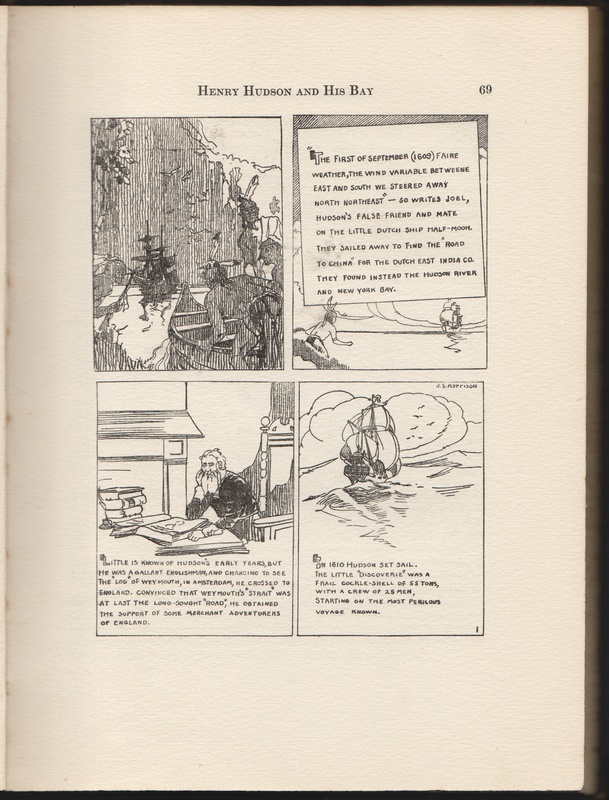 Interspersed as well are snippets of poetry by Henry Wadsworth Longfellow, Sir Walter Scott, Samuel Taylor Coleridge, Sir Walter Raleigh, and even our own Jean Blewett. More than just J.S. 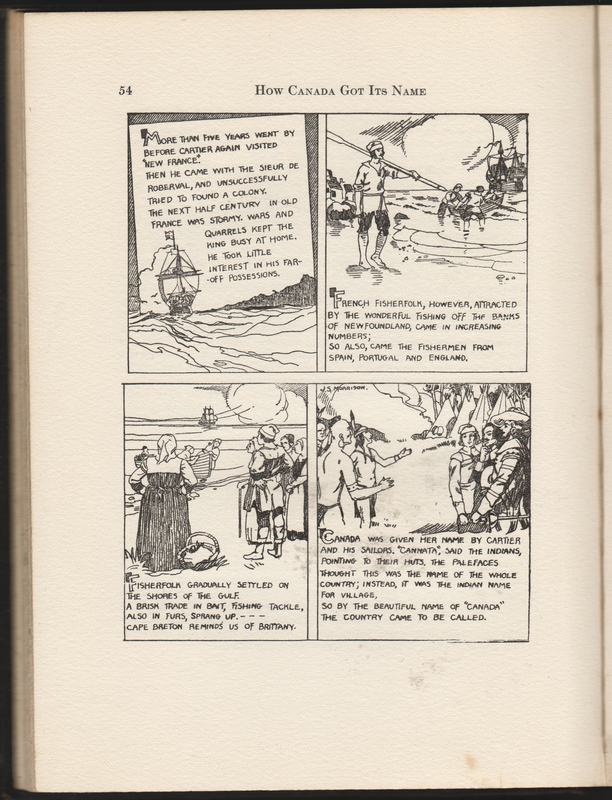 Morrison’s illustrations as a method of engaging readers’ interest, Maud Morrison Stone tells stories of the men (and a very few women) who helped settle North America. The authors are thorough in their understanding of the politics of settlement, including the histories of all the regions of the eastern seaboard as integral to the development of the Canadian nation. The selection of stories seems inclusive to me, but then I was raised with this as the fundamental narrative of our nation. No matter what content was taught 40 years ago, though, it is impossible now to avoid a colonial blindness to or elision of the First Nations’ perspective. This is not the forum for intense consideration of this topic, but even more than an investigation of the textual production of This Canada of Ours, I would love to see an analysis of the colonial discourse included herein. The First Nations are included in seemingly positive or at worst neutral ways—better by far than the blatant racism of some early versions of Canadian exploration and settling—but there is an underlying feeling of important issues being mentioned then glossed over. I might not give this text to my children as a resource, but then again, I might: with the right guiding hand, the stories Maud Morrison Stone tells, however strongly embedded in the Eurocentric discourse of its time, could still today give rise to productive discussion of the real history of our nation. The other day I stumbled upon a graphic novel, Lumberjanes, the owner of which has apparently disappeared into the Black Hole of Lost Friendships. Perfect, I said: I can read that and pass it on to the Women’s Family Shelter, which is where old clothes and reviewed books from our house go to live a second (or third) life. My daughter tells me that the novel is strongly feminist, and fun, but that really is not giving the cleverness its due. Adventures are had! Canoes are paddled! Inter-textual allusions are made! Stereotypes are overturned! Puns are constructed! Math is employed! Lumberjanes has something for everyone. Seriously. Or not. I had to admit, though, that I was not sure if there was going to be any degree of humour as I began, nor was I sure there would be any disrupting feminist portrayals. The introduction is a very artfully constructed expression of an ideology strongly paralleling that of the Girl Guides of Canada—without the imperialist military history—and thus deeply normalized in my own experience of being a teen. The textual precursors to the graphic narrative in each chapter likewise seem to present the characteristic woodcraft challenges Girl Guides engage in (or used to) and the social and emotional development they strive towards. Sort of. Lumberjanes Jo, Mal, Molly, April, and Ripley are infamous for sneaking off from their cabin leader, Jen, and getting into trouble. At first, on their “Up All Night” badge, they encounter a pack of demon foxes with three eyes, who tell them to “Beware the Kitten Holy…” Jo picks up an oval metal disk, like a Celtic scarf toggle, that doubtless has a role the plots of future volumes of the series. We see this symbol again when the Scouting Lads become possessed by evil powers, but that is our only hint. In their “Naval Gauging” badge, the Lumberjanes encounter a river-monster (again with three eyes); and an eagle (with three eyes) steals their chocolate bar. In trying to retrieve it, Ripley inadvertently opens a downward spiralling tunnel, which she immediately jumps into because: Tunnel. Adventure. Lumberjane. Duh. In a final Indiana-Jones-worthy scene, the Lumberjanes escape the now possessed posse of Scouting Lads and achieve their “Robyn Hood” badge, shooting the anchors of a rope bridge with their “borrowed” golden arrows. They are safe for now, but the evil Scout Master is rallying his troupes for volume 2, Lumberjanes: Friendship to the Max.